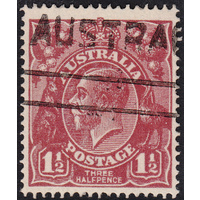 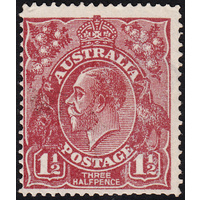 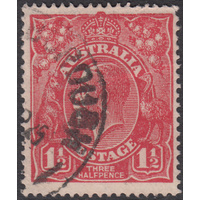 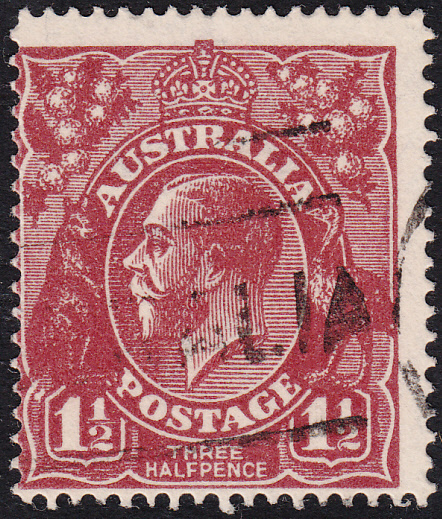 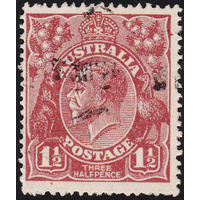 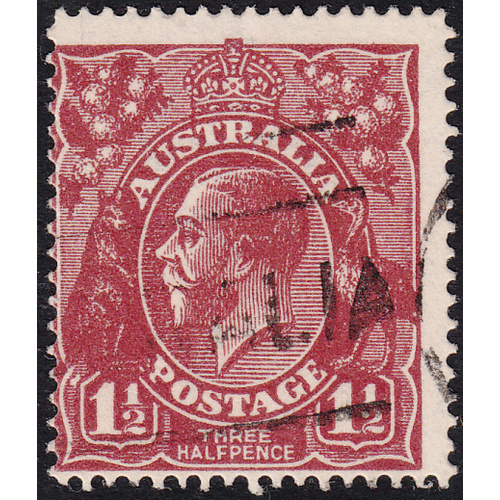 Australia KGV 1922, 1&1/2d Bright Red-Brown, Single Watermark, variety 12R33 (SUBSTITUTED CLICHE; flaw at top left corner of Left Value Shield) in Good Used condition with no faults. 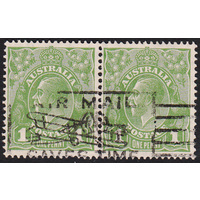 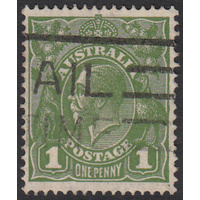 Off-center to the left and low with a duplex cancellation well clear of the variety. 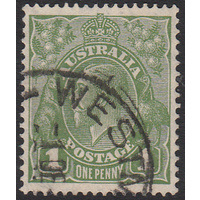 This cliche was formerly used as 7R9 before substitution into position 12R33 for the later printings in Red-Brown and Green. 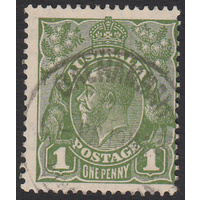 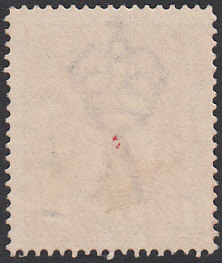 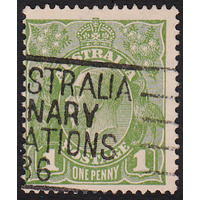 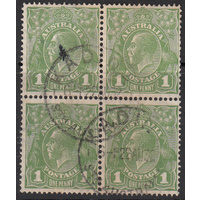 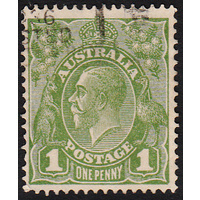 Varieties from this issue are scarce. 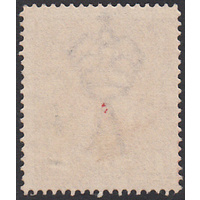 BW 87(12)p.